Children spend a considerable amount of time (about 14 years) of their young lives in school. Therefore, it is important to understand the environment in which they learn. The school system includes children, parents, teachers, community and school administration of which teachers and students are the two major players. A school environment conducive to learning, helping a child make a smooth adjustment to the system and bringing about the all-round personality and mental development of the child, is the need of the hour in this time and age. Young adolescents need a nurturing and secure environment at school, accompanied by adult guidance. If problems are not prevented in these years, there may be significant social consequences. 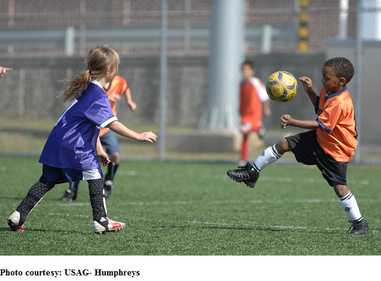 As they move into middle-grade, students experience school competition, social comparison, and self-assessment. The school emphasis on discipline and teacher control, and its limited opportunities for student decision making, come at a time in development when adolescents are beginning to think of themselves as young adults who are becoming more responsible and deserve greater respect from adults. A positive school environment is critical to ensure children have a safe and clear space to come to terms with their cognitive, emotional, sexual and psychological transformation. The concern, therefore, extends to how the school facilities can be enhanced and improved to meet the growing needs of the child. The extent to which each school provides a safe and supportive environment for all will play a vital role in determining whether the next generation is educated and healthy in body, mind and spirit. The goal of the school is to provide quality education and circulate the best standards of learning among children. The best education starts with respect for students as individuals and responds to each student’s unique potential, abilities and needs. A positive classroom climate facilitates pupils’ learning and adjustment. Schools are one of the most important institutions through which we can redress developmental difficulties in some children and promote the intellectual and emotional growth of all children. Creating conditions in which successful learning can occur is the best way to ensure the long term health and well-being of children, adolescents and the adults that serve them in schools. A school has the responsibility to remove those situations/factors/functions which produce maladjustment in students, and to detect undesirable behaviour of students and correct the same. To ignore adolescents is equivalent to ignoring the future of our nation. When young people’s mental health problems go untreated, they can affect their development, school performance and relationships, which in turn would lead to school failure, family conflicts, drug abuse, violence and even suicide. A good school environment can be channelised through the teachers as they are the backbone of the school. Interpersonal interactions, emotional support from teachers and more contact between teachers and students are critical for adolescents. Teachers should demonstrate a positive interest in knowing more about the student as an individual and take his or her opinions into consideration when making decisions. Teacher morale influences student morale. Students who perceive that their teachers are satisfied with their jobs have been found to be more likely to be achievers. Exams are important, but they should not be allowed to determine who and what one is. Students should be helped to view mistakes as a part of learning. Children’s behaviours and interactions should be observed and the talents, potential and strengths of children should be recognised and built upon. Criticise but do not reject the child. Accept pupils with all their faults. Train teachers to identify those who may be having learning problems and special difficulties in schools. Regularly rotate teachers’ responsibilities so that the responsibilities do not weigh them down. This will equip all teachers to handle various situations and help one another. It is necessary to have regular staff meetings and discussions to learn from one another. Corporal punishment should not be allowed under any circumstances. Reduce the number of students in a classroom so that individual attention can be provided. Have regular workshops on how to deal with children and adolescents for parents and teachers. Provide for a conducive environment for the children in the school: clean drinking water with regular water quality monitoring, adequately spacious class rooms, comfortable seating arrangements, play grounds, access for the physically challenged, etc. A healthy body contributes to a healthy mind and so the education of students on health and hygiene issues; preventive information against various communicable and non- communicable common diseases; anti-drugs and anti-tobacco education; information on healthy food (balanced diet) should be introduced. Sports and physical activities should be encouraged. 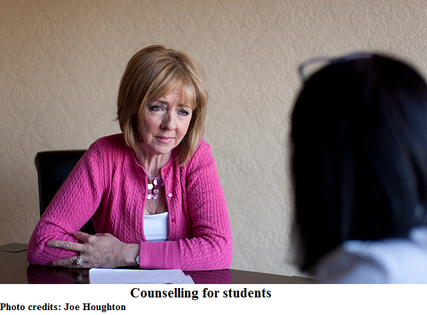 Guidance and counselling for adolescent students is of utmost importance. A school environment that is stress free and promotes opportunities for growth, will give way to easy adjustment for students in school, making them healthy and happy in mind, body and spirit. Thus, the children of today will definitely be intellectually, emotionally and mentally healthy adults of tomorrow.